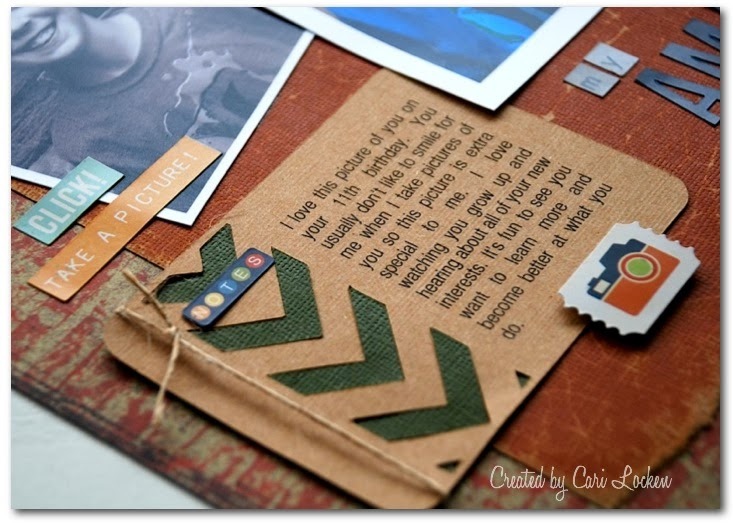 ... a couple of layouts that I had published in Canadian Scrapbooker magazine Winter issue. 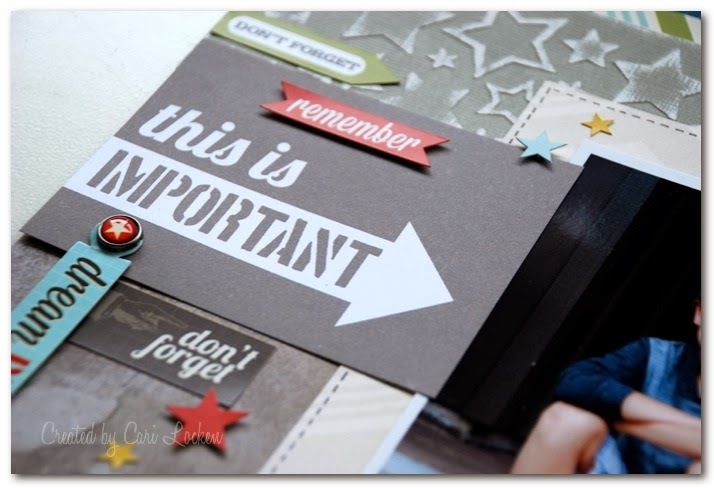 The layout below I created using Stampin' up brick (background) paper and then added pieces of Core'dinations TH Kraft Core along with some Stickers from Simple Stories. Our challenge was to create a layout that is brick inspired. Well, when I found this photo of my son and the brick paper ... it just all came together. 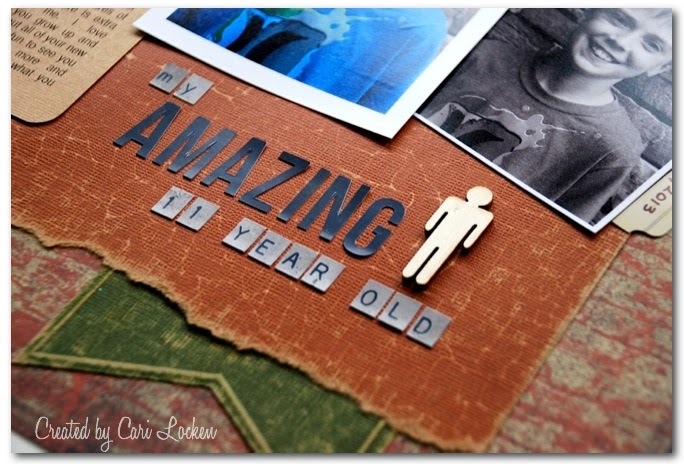 I used my Silhouette to cut out details like the arrow 'happy' and the journal block. 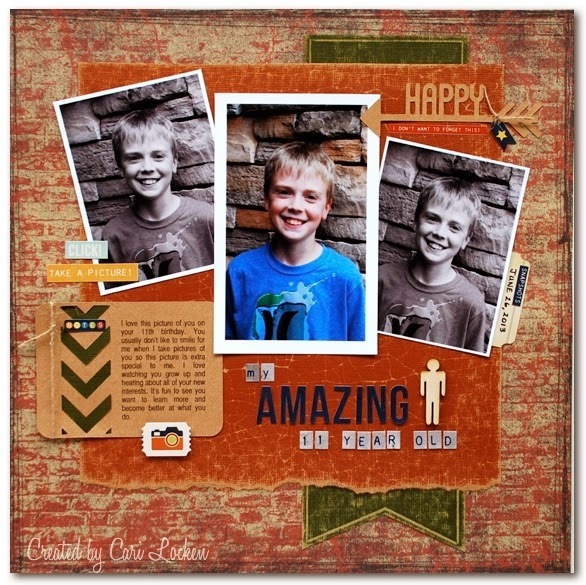 This next layout I used some awesome Simple Stories product again and Core'dinations card stock. 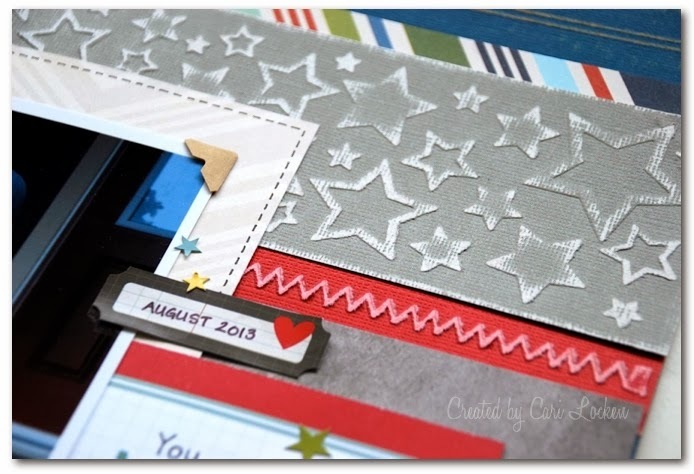 I cut a large strip of grey card stock and used an embossing folder (stars). 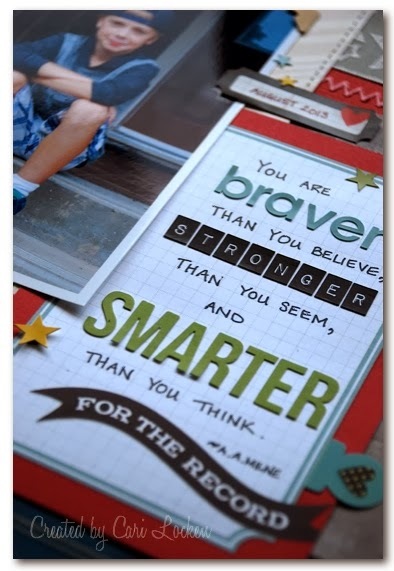 Our challenge for this layout was to create a layout with a Quote from Winnie the Pooh. Here's the quote that I used.